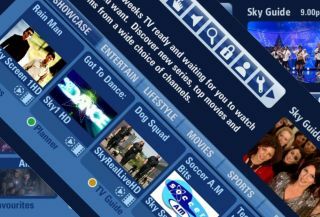 Sky has announced a brand new internet TV service, aimed at selling its premium content to those people who do not currently want a satellite service but have a broadband connection and are happy to pay. In a key move, Sky will offer movies at first, and then expand to sport and entertainment, with the UK launch set for 'the first half of this year'. The offering will be available across numerous devices, including PCs and Macs, but also tablets, mobile phones, games consoles and connected TVs. It is not the first time Sky has broken free from the shackles of satellite broadcasting, but this scheme is designed to move beyond what was attempted on Sky Player and provide anyone with a broadband connection (and a suitable device) simple pay-monthly or pay-as-you-go offerings. The obvious target to this move is Netflix, which has launched in the UK and made it clear that it is hoping to hoover up movies lovers from the likes of Sky, although the likes of BT Vision, Lovefilm and the forthcoming Google TV and YouView will be watchful. "This exciting new service will offer some of Sky's most popular content through a wide range of broadband connected devices," said Sky chief executive Jeremy Darroch. "Bringing a distinctive, new choice to the marketplace will help us meet the needs and demands of an ever wider range of consumers. The pricing has not yet been revealed but will no doubt be made clear closer to launch, with the arrival set for the first half of this year.